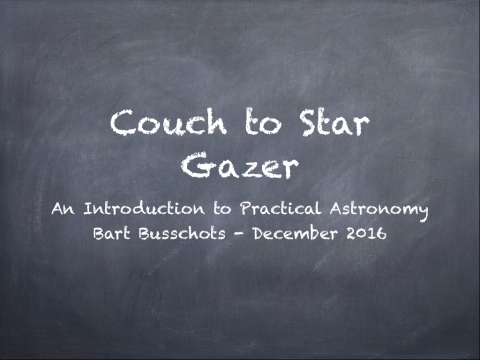 These are my slides from the talk I gave to Astro 2, the Maynooth University Astronomy and Physics Society on the 13th of December 2016. These are my slides from a talk I delivered to the CT Mac Connection Mac Users Group (MUG) on the 30th of March 2016. 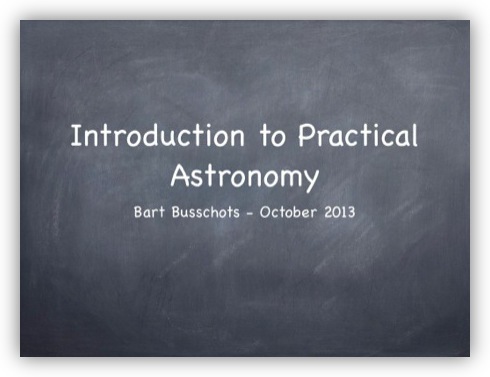 The slides for my talk to Astro2, the Astronomy & Physics society of Maynooth University. The slides refer to demo scripts. These are scripts for the free and open-source planetarium software Stellarium. You can download the scripts here, and you can get instructions on how to install the scripts into Stellarium on their documentation wiki – specifically, you’ll need the section on file locations, and the section on installing scripts. Last night I gave a talk to Astro2, the Astronomy & Physics society in NUI Maynooth. 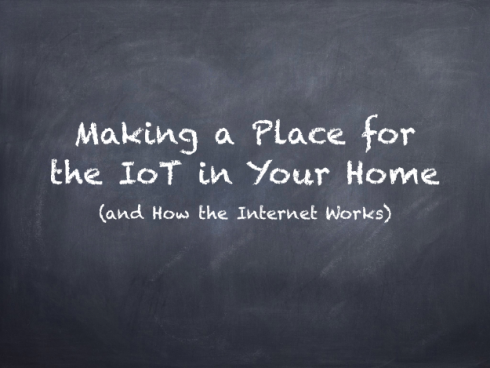 This is a slightly updated version of a talk I’ve been developing over the past few years. It’s an hour long an aims to explain the jargon you’re likely to come across on Astronomy websites (or magazines if you still do the dead-tree thing), to quickly summarise the kinds of things you can see in the sky, and to look at the kinds of equipment you might want (no, you really don’t need a telescope). I recently gave a talk to Astro2, the Astronomy and Physics Society in NUI Maynooth. 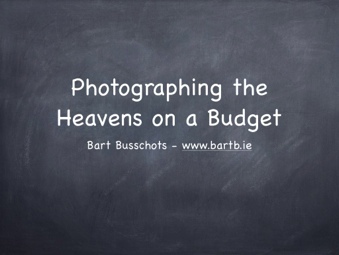 The talk focused on taking photos of the heavens without breaking the bank. If you set your expectations appropriately you can shoot the sky with literally any camera. You’ve not going turn your iPhone into the Hubble Space Telescope of course, but you can always get something nice, even if it’s “just” including the Moon and planets into your landscape shots. The core idea is that you need to take as much control away from the camera’s computer as possible, so that you can push the device right up to it’s limits. To do that you need to understand how your camera works, so the talk starts with a primer on the theory of photography. The talk is very heavily illustrated with example photos, and each example comes with a description of the settings used when shooting it. I was asked in the talk to upload the slide deck, so I have (sorry it took so long). It’s become sort of a tradition that each year I give the Christmas lecture for Astro2 (The Astronomy & Physics Society of NUI Maynooth). 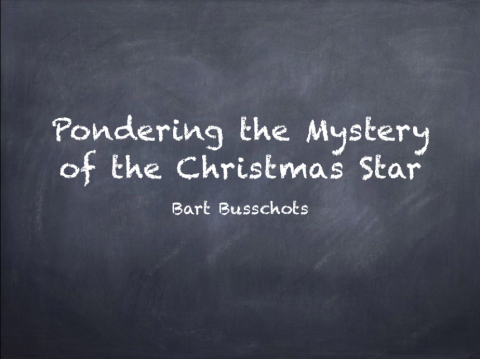 Each year I give a talk on the Christmas Star and each year I change it up a bit and focus more on different aspects. I really changed the talk up quite a bit this year and got quite a bit deeper in the biblical end of things than I had before. I enjoyed giving the talk this evening, and the audience seemed to enjoy it too which is always nice!